I Have So Many Amazing Shoutouts To Share Today! Hey Guys! Amy again. This was really supposed to be a Shoutout Sunday, but obviously it’s Wednesday, so you see how that turned out…. Let’s see those rules! Include one shout-out for an “old” blog (Old meaning you discovered it a while ago; it doesn’t matter when they started blogging.) that you’ve loved for a long time now. Please try to limit yourself to one old blog per post so you don’t run out due to the fact that this is supposed to be (Key words.) a weekly meme. Include one or two (If you’re like Amy, three or four. I tease because I love. shout-outs for posts that you absolutely loved this week. You don’t even have to have loved them; they just could have been posts that made you think or stuck with you throughout your week. Extra Credit that’s sort of required: Include one or more book shout-outs (After all, this is a bookish meme. . Along with the book title and author and cover picture, if you can, please include your rate on a scale of one to ten and also either a synopsis and or a link to the Goodread’s page. So, as I mentioned in my last post, I was unable to view any blogs ending with wordpress.com for a while there… No idea why, but thankfully it seems to be up and running now, and I was able to have a look-see at quite a few just now! 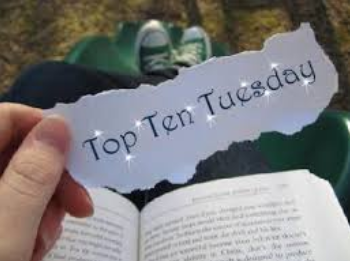 I will be skipping number one on the list today (I love you all, but I want to savor my oldies!). On to number two! One of the newest bloggers I’ve met (ahem- just now cough cough) is Kirsty over at Kirsty’s Book Reviews! I hope to talk more with her and become friends. 🙂 She is a gorgeous 22-year old that likes young adult (many kinds). I’m sold! And of course, it always helps when they like Sarah J. Maas…. When first visiting this blog, I was immediately captured. I just started reading the post, did a double take, and then went on to read somewhere between 5 and 20 in a row! Pint Size Fiction is quite simply, a collection of short stories. They are incredibly well written and definitely worth your time! You guys definitely need to go check it out. The wonderful people over at Yaps (I was not able to find more info on names, etc.?) shared some of their favorite ya quotes, which are all totally inspiring and cool! I recently made a visit to Universe of YA Books (love that name) and immediately did a double take! Why? I saw a post on why not to turn YA books into movies! Of course, there is plenty of hatred for book-to-movie adaptations, but I’ve never quite seen anything like this. There were many good points made, and it definitely made me think. The Nightmare Affair by Mindee Arnett is a fresh piece of meat added to my TBR! It looks quite interesting, because there are not many (if any) books out there about actually BEING the nightmare. Some about visiting dreams, but a nightmare? I’ve got to know more! Charm & Strange by Stephanie Kuehn seems to be… entirely different from ANYTHING I’ve ever seen before. And of course, Cait gave it 5 stars, so it’s a must-read! What am I waiting for? Why am I here, again? Oh, right! Readers! People reading this! Oops! I like so many different songs (and types of songs), but I have two absolute favorite artists right now: Bea Miller and Sabrina Carpenter! I just connect with them both and they have beautiful voices. Well, I’ve gone through a lot of different shows since I last talked about it on here, but I suppose I can name a few! For a while I watched The Secret Life of the American Teenager, but I didn’t really like the main character, so that kind of killed the interest (it was still quite addicting, though!). I also watched The Fosters for a bit. I’m not really sure why I stopped watching, as I was captivated by all of the characters and the new installments to their relationships, so I may have to go back to this one. I binge-watched When Calls the Heart with my mom (haha)! It is actually based on a book. Set in the 1800s, the main character is a schoolteacher who comes from a wealthy family in the big city, and decides to move to the smallest of towns to best spread her gifts and knowledge, where of course she makes both enemies and friends- as well as someone who could turn out to be more than that. The first two seasons are currently out on Netflix, and with that ending, I’m going to need more! And finally, last but (certainly) not least, The 100! I have read the first two books (and am eagerly awaiting the third’s arrival), and I’m halfway through the second season. I will definitely be watching the third season, and I totally recommend this show (books first, though!) to all of you! The first two seasons are on Netflix, if that helps anyone. I hope you all enjoyed this Shoutout Wednesday! Um, hello? *snap snap* You in there? *waves hand in front of your face* Oh well, thanks to any that didn’t fall asleep out there! I’m a little tired myself. 😉 See you all soon! Toodles!